Restoration East, LLC is a contracting company specializing in the restoration and protection of reinforced concrete structures. Restoration East, LLC, established in 1986 under the name of Restoration East, Inc., concentrates its business in the mid-Atlantic region. We have successfully completed hundreds of concrete restoration and protection projects. 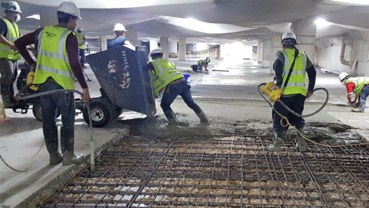 We are committed to providing quality contracting services to owners of concrete structures. We offer a comprehensive package of services specifically directed to meet the needs of the structural restoration market. We act as a single source, performing all of the work necessary for a complete restoration, including preventative maintenance. On most projects, 100% of the work is performed by our own workforce. Our “single source” approach allows us, and our client, greater control over quality, schedule and budget.